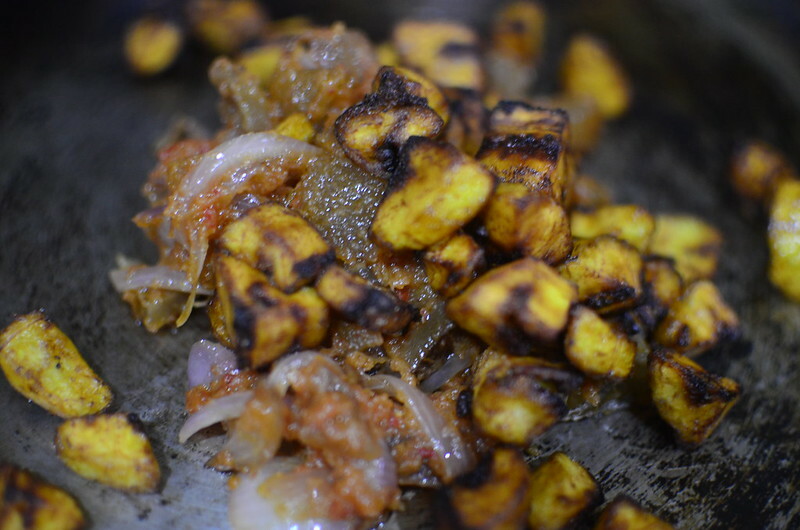 And here, the way I see it, I could also see this as a combination of starch (root, tuber, fruit); meat and a vegetable sauce. 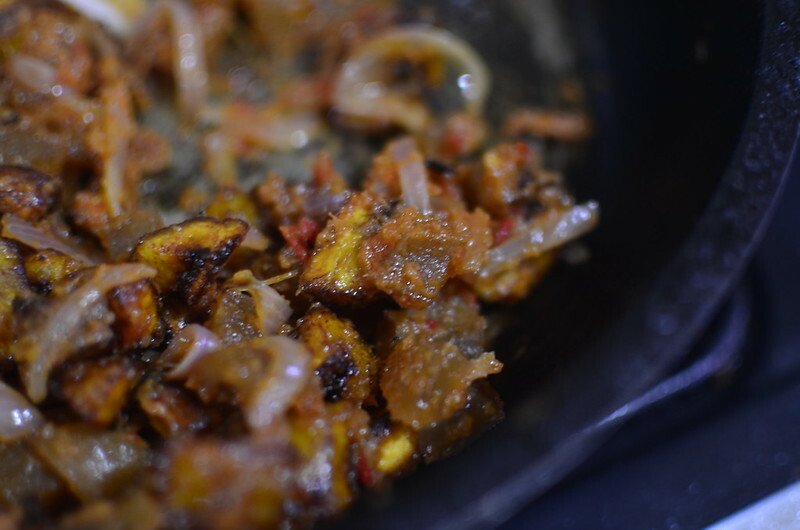 In my second exploration, I replaced the gizzards with asun, smoky sauced goatmeat to create asundodo which was amazing. And then I switched it up and replaced the goatmeat (and earlier gizzard) with pomo. If you aren’t familiar with pomo, pronounced in Yoruba as kpomo, crunchy-chewy is cow flesh which is cleaned off the hair/ fur and turned into food instead of leather:). It is affordable and has a peculiar texture. So yes, we had PomoDodo and it was great – a unique blend of texture and taste. 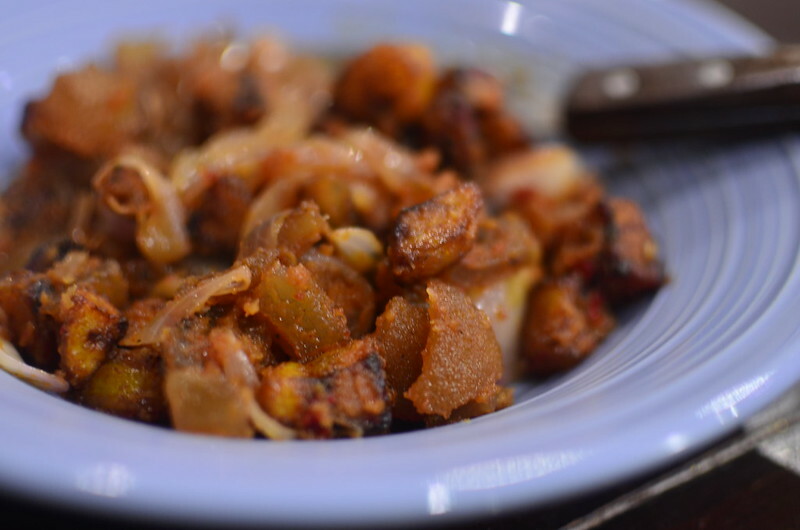 Now beyond this, I swapped out the plantains and used yams in Asundu/ D’asun/ DundunAsun and I’m already planning my next exploration – SnailDo: crunchy, peppered snails with Dodo! Because I can. And quite simple too. All you need to do is understand the composition of the recipe and see which elements you can vary. Idea Two was Jollof and it was delicious! 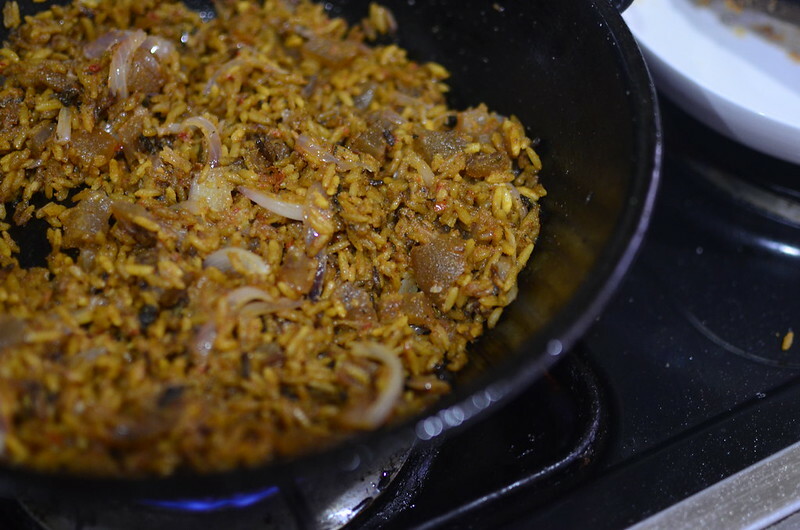 This version is a cross between party and local and is great for using leftover Jollof rice. For the Jollof, I use already cooked, often leftover regular Jollof rice to which I then add a cooked sauce of peppered pomo, cooked with a drizzle of palm oil. 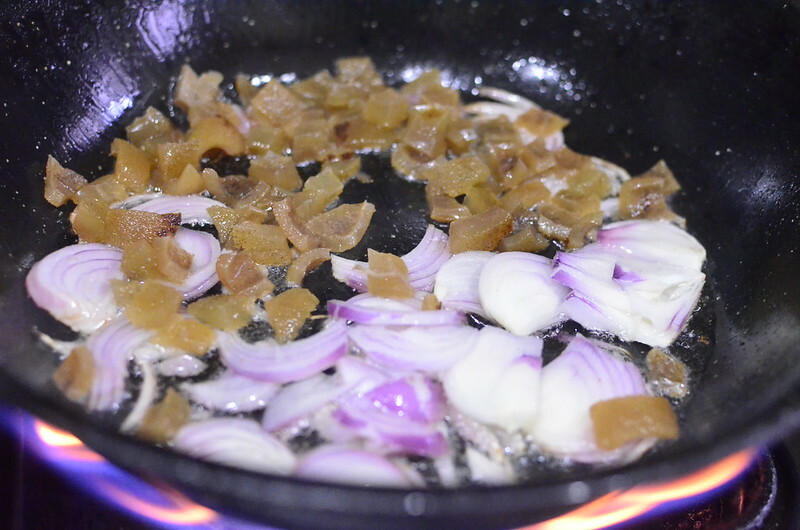 The sauce is key – I make mine with blended onions and chilies – no tomatoes. I fry the mix in a bit of oil, season with salt and then add already cooked pieces of pomo, once I’m happy the sauce has cooked down and the pomo is ‘saucy’ enough, I’m ready to add my already cooked, leftover Jollof Rice and stir fry unti heated all the way through. I add a drizzle of palm oil to finish off and voila.